Today I would love to welcome Diane Saxon. 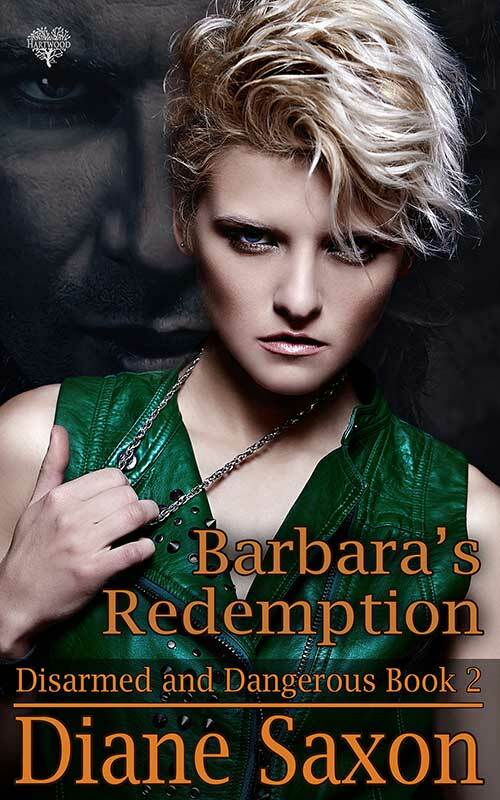 Her new books Barbara's Redemption has just come out and she is giving us a taste of what it's about! weakness. It looked like she may have to, after recent events. She’d thought she’d never witness anything worse than Flynn’s torture. But she had. 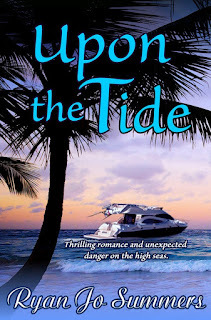 So happy to have Ryan Jo back today showing us her new book Upon the Tide. Kade simply wanted some fish for his pet seagull. Now he and the lovely exec from out of town are caught in a deadly game of cat and mouse. He's busy concentrating on Piper when he should be focusing on keeping them alive. Fleeing for their lives aboard Kade’s houseboat, 'The Hightide', they experience risk, surprises, mystery and romance during the Great Caribbean Boat Chase. However, the biggest surprises are waiting for them back at port. He remained at the table, sipping his sweet concoction while she cleaned the few dishes. As she passed the window, a gunshot rang out. The bowls she’d been about to put away crashed to the floor, shattering. Instantly Kade lunged from his chair, grabbing her by the waist and landing on the floor, her body pressed under him. The impact of their predicament hit Piper, feeling like a lightning bolt sweeping down from above. Like her dream of last night. She smelled his musky scent and felt his hot, anxious breath on the back of her neck. She inhaled the sweet coffee he had been drinking just seconds before. The fuzzy hairs on the back of her neck slowly pricked as her body hummed. His hands covered hers and she felt the strength they contained and even his callouses. His long frame successfully held her pinned against the hard wood floor. Lowering his mouth to her ear, he whispered softly, his words quick and hot on her skin. She went cold. Storm the place? Had they really come this far and were still to die at the robber’s hands? Numbly she nodded her understanding of his instructions. A volley of gunfire sounded outside, and she wondered who was winning. All she heard were echoing gunshots. She felt Kade tense himself, and she drew in a painful breath, waiting for his word, her heart thumping loudly. Years ago I loved the tv show 'Riptide' with Perry King and Joe Penny. Later it was Don Johnson in Miami Vice. What drew me to the weekly series was mostly the boats. In both cases one of the main star's characters lived on houseboats. I thought that was the most incredible way to live. I don't recall much about the plots of the shows but I remember those boats. Then country music artist Dierks Bentley arrived on the music scene, and he lived on a houseboat. Why did these guys have all the luck? Thinking it so unfair, I created a character, Kade Wyatt, and had him living on a houseboat called 'The Hightide'. I fell in love with that trawler and went aboard as frequently as possible in my dreams. Now, since I work security for a fashion retailer, I am exposed to fashion and clothing to the point of almost being force fed it. However, that does have it advantages. I created a heroine who lived and breathed fashion and clothing as much as my work environment did and plunked her into Kade's world. A fish out of water? In the Caribbean. Interestingly, work became helpful for dressing fashion conscious Piper. I was working on a beach dance scene and took a break to go to work for the afternoon. Walking into the back area, I spotted some dresses hanging up, staged to be stored. Literally, I stopped. Immediately I envisioned Piper wearing one of those dresses at the beach and what it would do to poor Kade. I wrote that scene that night when I got home and the beach party is still one of my favorites. 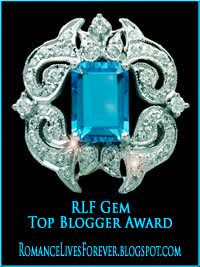 Ryan Jo Summers is a North Carolina author who specializes in writing romances with a twist. 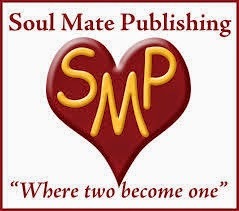 Love stories blended with inspirational, paranormal, suspense or time travel--or several at once. She also writes non-fiction for regional periodicals. Ryan's dad is a songwriter and his aunt wrote poetry so she claims she came by her writing skill honestly. Apparently it's in the genes. Her hobbies include bird-watching, houseplants (50 ish and growing), poetry and yard work. She loves to gather with friends, hike in the forest with her dog, paint ceramics and canvas and work on wiggly word find puzzles. She lives in a 1920 cottage with a menagerie of pets. Living in the mountains, she dreams of the shore and frequently uses the water as scenes for her stories.